Event Description: Every Groundhod Day, there's an opportunity to get out and run, or walk a fun 5k!  Sunday morning during the Wiarton Willie Festival, the run starts at the high school and sets out around town catching all the sights. "Bridge the gap" between last year's running season and next summer's goals with the Groundhog Jog!